You are at:Home»iPhone»Sounds»My iPhone Microphone Is Not Working! Here’s The Fix. Luckily, this is a relatively common problem with iPhones new and old. In this article, I’ll explain why your iPhone microphone is not working and walk you step-by-step through how to fix an iPhone mic. The first thing you should do when your iPhone’s microphone stops working is to test it using different apps. This is because your iPhone has three microphones: one on the back for recording video audio, one on the bottom for speakerphone calls and other voice recordings, and one in the earpiece for phone calls. How Do I Test The Microphones On My iPhone? To test the front and rear microphones, shoot two quick videos: one using the front camera and one using the rear camera and play them back. If you hear audio in the videos, the video’s respective microphone is working fine. 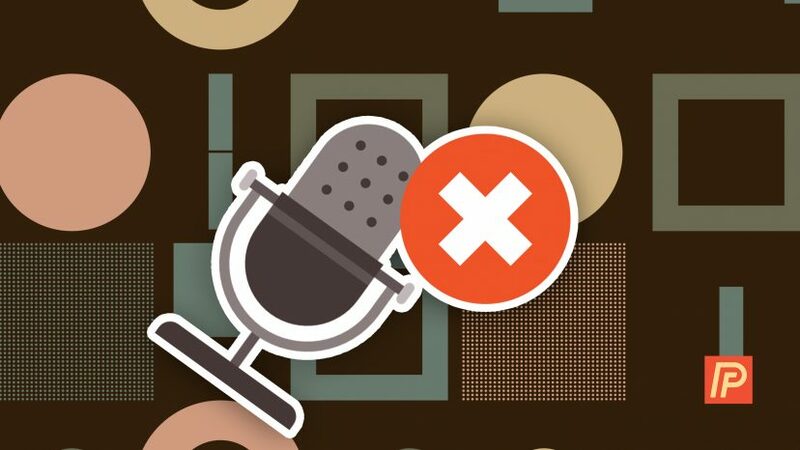 To test the bottom microphone, launch the Voice Memos app and record a new memo by pressing the large red button at the center of the screen. If you find that one of your iPhone’s microphones sounds muffled after you test it or it has no sound at all, let’s clean them. 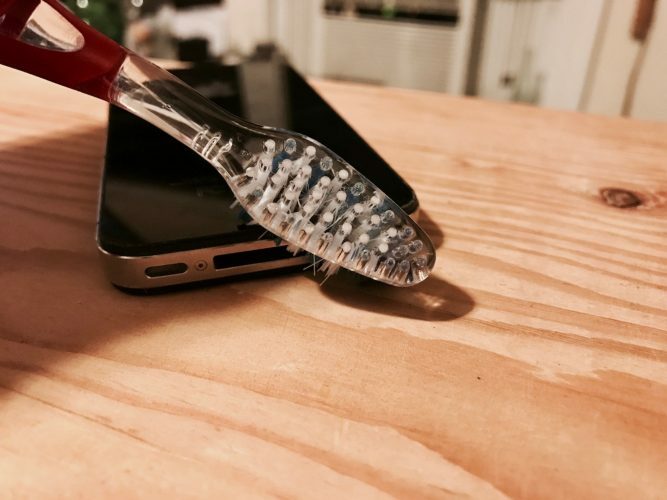 My favorite way to clean iPhone microphones is by using a dry, un-used toothbrush to clean the microphone grill at the bottom of your iPhone and the small black dot microphone to the right of the rear-facing camera. Simply slide the toothbrush over the microphones to dislodge any stuck pocket lint, dirt, and dust. You can also use compressed air to clean your iPhone’s microphones. If you take this route, however, make sure to spray gently and far away from the microphones themselves. Compressed air can damage microphones if sprayed at too close of a proximity — so start by spraying from a distance and move closer if you need to. 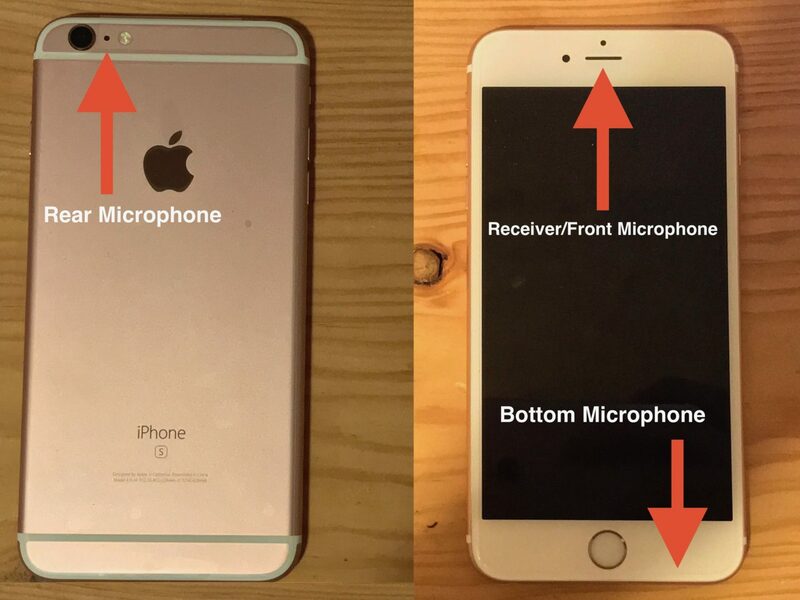 Make sure to test your iPhone’s microphone again after cleaning. If you find that your iPhone microphone still is not working, move onto the next step. My iPhone Microphone Still Isn’t Working! 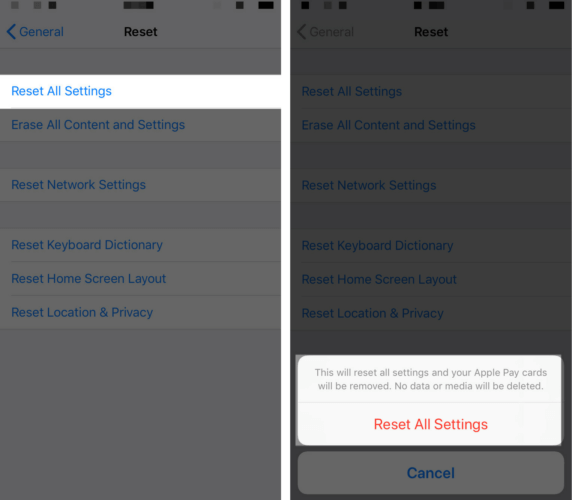 The next step is to reset your iPhone’s settings. This won’t erase any content (except for Wi-Fi passwords), but will set all of your iPhone’s settings back to factory default, erasing bugs that may be causing your microphones to not respond. I highly recommend backing up your phone before erasing your iPhone’s settings. How Do I Reset My iPhone’s Settings? Launch the Settings app on your iPhone and tap the General option. Scroll to the bottom of the screen and tap the Reset button. Tap the Reset All Settings button at the top of the screen and confirm that you would like to reset all settings. Your phone will now reboot. If after cleaning your phone and resetting all settings you find that your iPhone’s microphone still isn’t working, it’s time to bring your iPhone in for repair. Be sure to check out my article on the best places to get your iPhone repaired for inspiration. 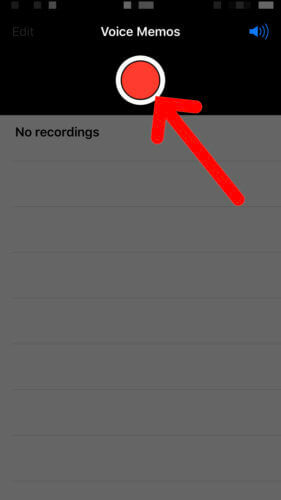 Your iPhone microphone is fixed and you can start talking to your contacts again. We encourage you to share this article on social media to help your friends and family when their iPhone microphone is not working. If you have any other questions, leave a comment down below! Previous ArticleHow Do I Fix A Bricked iPhone? Real Unbrick Fixes! Next Article My iPhone Pictures Move! Live Photos, Explained.